NEW YORK (WABC) -- The good news is that the long-standing drama over "will they or won't they" is now over. The Knicks made it official today, sending Carmelo Anthony to the Oklahoma City Thunder. The bad news is the return -- the team get back center Enes Kanter, forward Doug McDermott and the Chicago Bulls' 2018 second-round draft pick. Not exactly the star-studded package fans were hoping for. That's what happens when you show your hand too early. 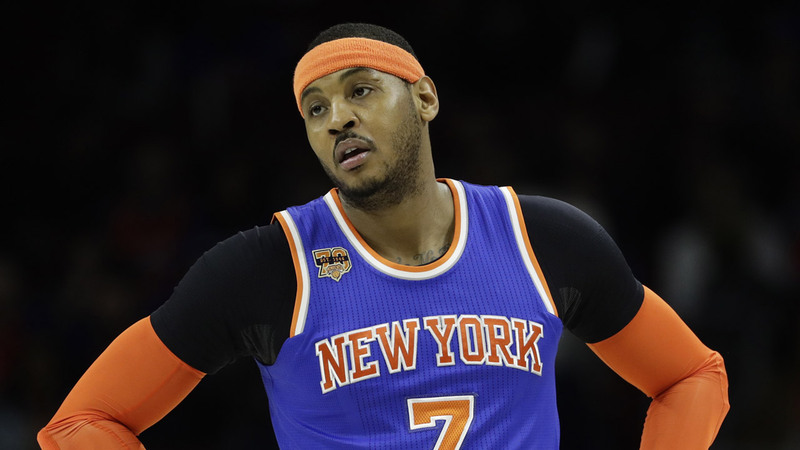 Phil Jackson made it clear that he wanted Carmelo Anthony out of New York, despite Melo's insistence that he wanted to stay. Even when Phil was ousted, Scotty Perry and Steve Mills sen the same message. Any Joe Schmo playing fantasy sports on his computer could tell you that's not the way you try to make a trade. So Knicks fans find themselves in a catch-22. The same people who were begging for the team to pull the trigger on a Carmelo deal are now furious that they didn't get back a superstar in return. Can't have it both ways folks. "This is a deal we feel works for both this franchise and Carmelo," Knicks president Steve Mills said in a statement released today. If paying Kanter and Joakim Noah -- two underwhelming centers -- more than $35 million next season, then yes. It makes perfect sense. To his credit, Carmelo handled this situation as best he could. He kept it professional all season while fielding question about a possible trade and even penned a letter to the same fans who called for his head on a nightly basis. "Saying Goodbye is the hardest thing to do. I never thought I would, especially to you" wrote Carmelo in a message on his website. "Thank you to All My Fans who supported me through Thick and Thin. And those who continued to support The Knicks regardless of the outcome." Now all hope is not lost for the Knicks. Kanter is a serviceable player who will provide some offense from the center position and McDermott will become a fan favorite as the guy who waits in the corner for a wide open three. But most importantly, the team can now focus on building around Kristaps Porzingis. He officially becomes the center piece of a team that will hopefully be relevant again in the next 2-5 years. Let the era of the "Latvian Unicorn" begin.